We present several novel methods quantifying dynamic interactions in simulated football games. These interactions are captured in directed networks that represent significant coupled dynamics, detected information-theoretically. 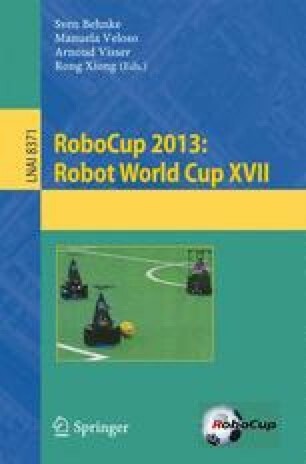 The model-free approach measures information dynamics of both pair-wise players’ interactions as well as local tactical contests produced during RoboCup 2D Simulation League games. This analysis involves computation of information transfer and storage, relating the information transfer to responsiveness of the players and the team, and the information storage within the team to the team’s rigidity and lack of tactical flexibility. The resultant directed networks (interaction diagrams) and the measures of responsiveness and rigidity reveal implicit interactions, across teams, that may be delayed and/or long-ranged. The analysis was verified with a number of experiments, identifying the zones of the most intense competition and the extent of interactions.